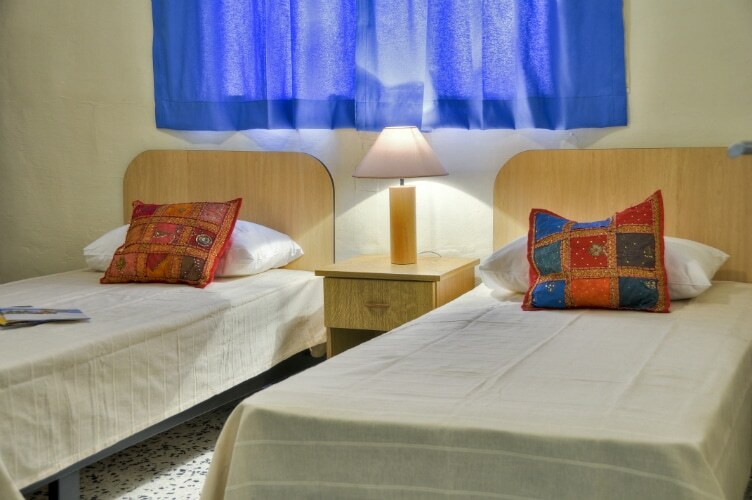 This type of accommodation is the ideal choice for those travelling on a budget yet desiring a central prime location. St. Julians is a popular touristic area renowned for its vibrant nightlife with many restaurants and bars within walking distance. 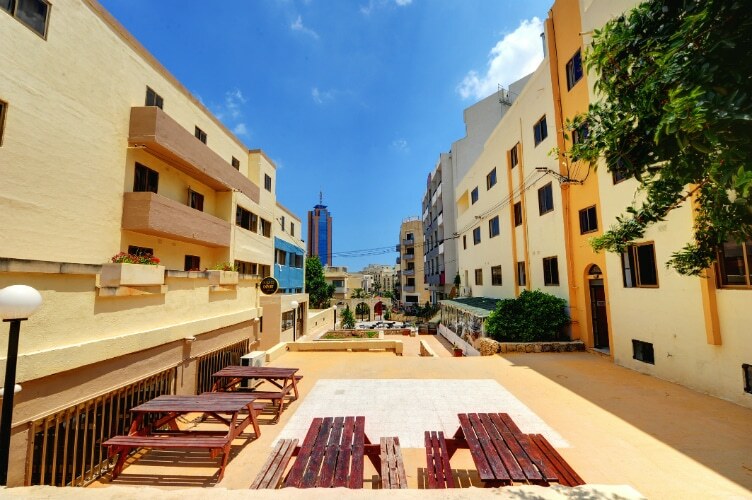 The Residence comprises 4 blocks of self-catering apartments situated around a large central courtyard. Our facilities include swimming pool, restaurant and pub making this the right accommodation choice and ideal place to meet up with old friends and make new acquaintances! 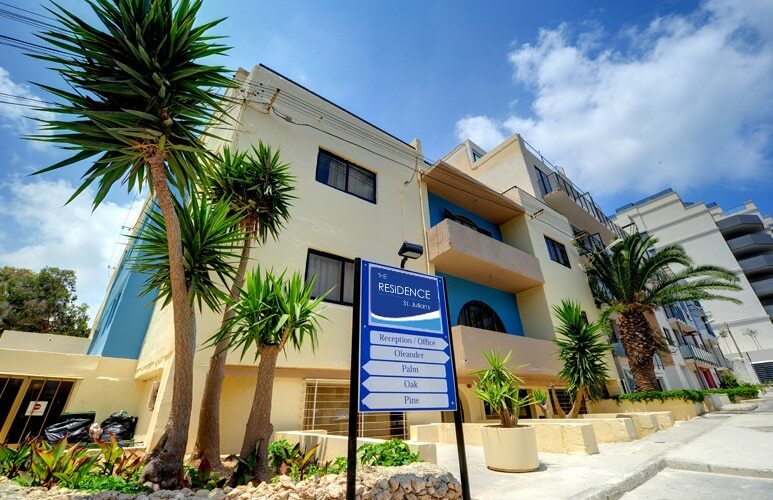 The Residence targets 18 – 25 year old travellers together with fun loving couples and families who wish to visit Malta and enjoy the local life! 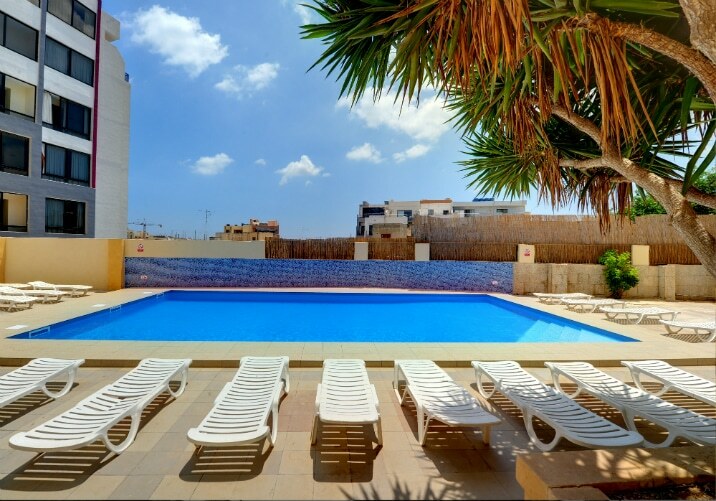 The Residence sits alongside Malta’s leading 5 star Hotels in a 5 star location at a 2 star price! !